ARTICLES How Does Tax Relief Work on Rental Property? How Does Tax Relief Work on Rental Property? When renting out property, it is important that you report your income to the IRS correctly to avoid tax penalties. Rental income can be reported using either the accrual method or the cash basis method, and there are several types of rental deductions available. 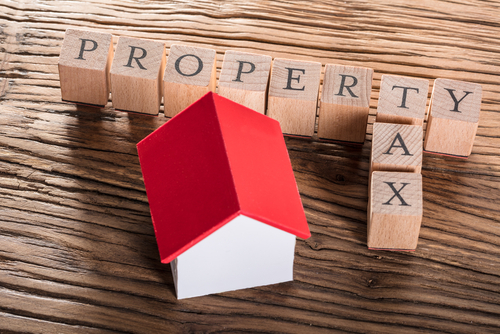 Landlords should be familiar with the new tax rules for rental properties that took effect in 2018. If you’re a landlord with rental property, you need to declare rental income on your taxes. However, you also have the benefit of deducting expenses you incur for maintenance of your rental property and other associated expenses. Learn more about taxes on rental income and find out what tax relief is available for rental properties. What Is Considered Rental Income? Your gross income should include all the money you receive as rent, which covers any payments received for the use or occupation of your properties. Along with these amounts, you also have other amounts that may be considered rental income that you must report. Advance rent is an amount you receive before its specified time period, such as a payment on a future month’s rent. Advance rent should be included in your rental income in the year you receive it, regardless of what year the advance rent covers. For example, the first and last month’s rent with a five-year lease will all be included on the first year’s taxable income. Security deposits used as a final payment of rent are also considered advanced rent, which should be included when you receive payment. If you intend to return the security deposit at the end of the lease, you don’t need to report it, but if you keep some or all of it because your tenant broke the lease, the security deposit needs to be included as income for that year. Payment for canceling a lease should also be reported. This reporting occurs if your tenant pays you to cancel the lease, which is considered rent. The payment should be included in the year you receive it. Expenses paid by the tenant include any expenses that the tenant is responsible for, such as water or sewage bills. These expenses should be included in your rental income if they are deductible under normal circumstances. Any bartered property or services provided as rent need to be reported as well. These items are included as fair market value of property or services. For example, services such as painting or repair work from a tenant in that field could be traded for the equivalent month or months of rent, which would be reported as rental income for you. A lease with an option to buy is a rental agreement that gives your tenant the rights to buy your rental property. These payments are still considered rental income, however. The rental income you declare on your income taxes can be done in one of two ways. With the cash basis method, you report the income as you receive it and the expenses as you pay them. With the accrual method, you count income when it’s earned, not when you actually receive it. Many landlords use the cash basis method for declaring income from rental property. You count money as you receive it as income for the relevant tax year. You may also count the security deposit that your tenant provides, whether it’s the final rent payment or whether it’s applied to repairs for damage to the property. If you take the security deposit with the intention of returning it when the tenant leaves — provided the tenant hasn’t damaged the property — it isn’t counted as income. An in-kind payment can be counted as income as well, according to the month it covers. 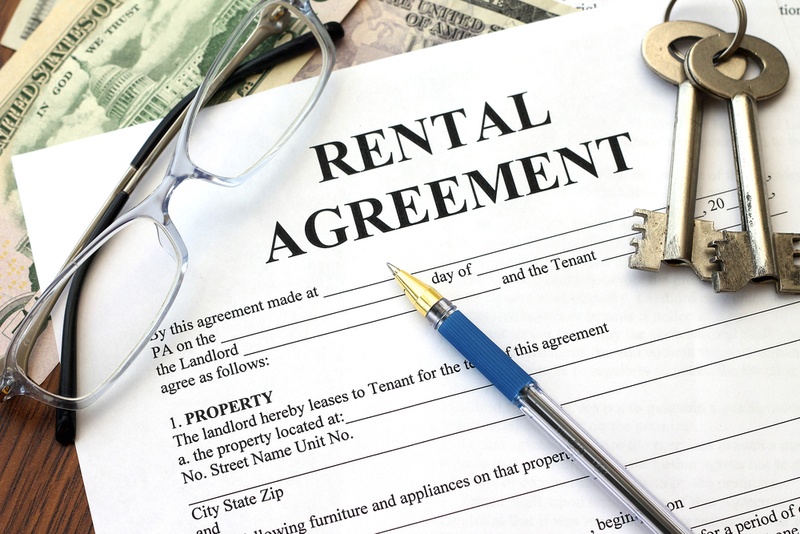 If you agreed to accept goods or services in exchange for rent, for example, the IRS still considers it a rental income. As a result, you need to report it as income when you file your taxes. As a landlord, you need to report other types of income. This income can include money derived from tenants paying their way out of a lease or tenants paying for building expenses or repairs. These payments also count as rental income, regardless of what accounting process you use. Although you need to account for and declare many types of rental income, you can also take advantage of certain deductions to reduce your tax liability. Mortgage interest, property taxes, repairs, depreciation, and operating expenses are all examples of deductions for a rental property. 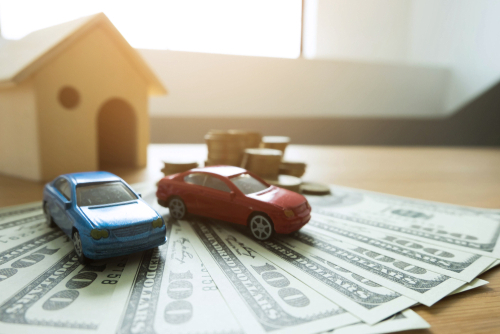 The IRS defines your rental deductions as “ordinary and necessary expenses.” Ordinary expenses are expenses that go along with owning property, such as payments to a management company. Necessary expenses include any expenses that go into maintaining and operating a rental property, such as advertising and marketing, insurance, utilities, and building expenses. What doesn’t fall under ordinary and necessary expenses is anything you do to improve, remodel, or renovate your property. Regular, necessary maintenance is fine, but work done to make your rental property more upscale or desirable does not. Expenses that follow from this approach are classified as discretionary spending. You can also deduct the depreciation of your rental property and its features, which gives you the opportunity to balance out your expenses. You use IRS Form 4562 for this purpose. If a tenant is evicted, you may be able to write off the unpaid rent, but this write-off depends on a number of factors. The IRS does not consider unpaid rent as bad debt since it wasn’t loaned to the tenant. If you use cash basis accounting, you’re unlikely to be able to deduct unpaid rent, but if you use accrual accounting, you’ve already reported the rent you were supposed to receive, but never did. Thus, you’re free to deduct it from your taxable income for the following year. Mortgage interest: Mortgage interest is one of the most important deductions that landlords usually rely on. The new rules limit the deduction to the first $750,000 of debt, but that deduction doesn’t apply to property that earns rental income. If you have a mortgage on a rental property, you don’t have a limit to how mortgage interest you’re able to deduct. Depreciation: Depreciation hasn’t changed much with the new legislation. Landlords are still able to depreciate residential properties for 27 1/2 years. Property and state income tax: Property and state income tax deductions are limited at $10,000 for homeowners, but not landlords. Property and state income tax on rental property are deductions on Schedule E, which is for business expenses. Repairs: Rental property is a business, according to the IRS, so any expenses related to maintaining the property or repairing the property are tax deductible. However, repairs need to be “necessary and reasonable” to be valid. Travel expenses: Travel expenses are the same as well. If you live within driving distance of your rental property, your mileage to and from the property is a deduction. If your rentals are a long distance from your home, be sure to keep receipts of your airfare, hotel stays, and other travel expenses, which are all potentially deductible. 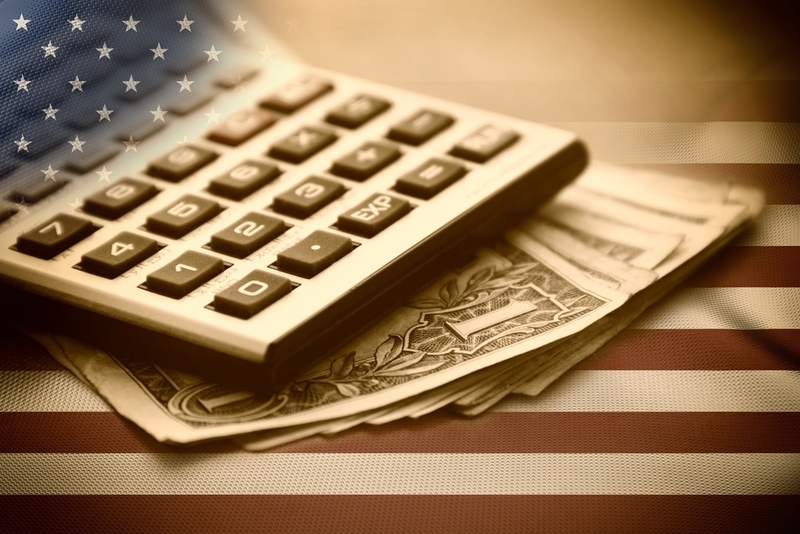 Tax preparation fees: Tax preparation fees used to be a deduction for individuals, but they no longer are. For landlords, however, they are allowed as a deduction against rental income on a landlord’s Schedule E form. 1031 Exchange: The 1031 exchange is a provision of the tax code that allows landlords to sell one property and buy another of equal or greater value without paying capital gains tax. This rule is still in effect for real estate, although it’s being repealed for other business assets. Capital gains: Capital gains taxes are the same under the new tax legislation. You can retain property for at least one year to avoid short-term capital gains, which have a much higher tax rate. C Corp: If you have rental property, it may be worthwhile to operate as a C Corporation. The new legislation lowers the tax rate on C Corps to 21 percent, but C Corps are taxed both when they earn profits and again when the profits are distributed. 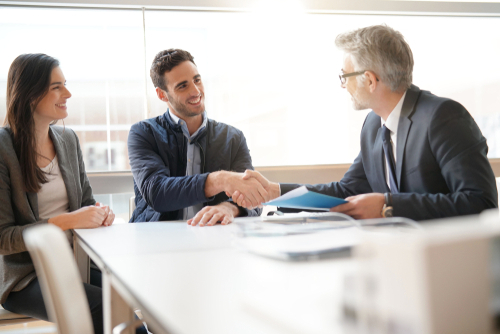 Depending on your situation, you may benefit from converting your business to a C Corporation. Pass-through: The new legislation allows for a 20 percent deduction on income earned through an S Corp, partnership, LLC, sole proprietorship, and Schedule E form. The Schedule E form is used for rental property that works like a business, but the deduction depends on your income. If your income is above $207,000 or your combined household income is over $415,000, the deduction doesn’t apply. When you file your income tax, you’ll use IRS Form 1040 with Schedule E: Supplemental Income and Loss. You’ll include your total income, depreciation, and expenses for each rental property, which may include taxes, insurance, repairs and maintenance, travel and auto, advertising, and anything else related to your rental property. You’ll use Form 4562 to file your depreciation expenses. You can report up to three properties on Schedule E, but any additional properties will need to be recorded on another Schedule E form. The totals will be combined, however, on all your Schedule E forms. Since filing for rental property income and deductions can be complicated, you want to keep detailed records of your rental properties and all related expenses and payments. Keep rent checks or money orders, financial statements, recorded expenses, and anything else related to your rental property needs in the same place. If you can’t provide these records, you may not be eligible for a deduction you deserve, or you could end up with more taxes and tax penalties. If keeping track of tax information is complex for you, tax software can help you get your taxes, calculations, and records in order so that you can stay organized during the process. Hire a tax advisor to help you navigate the rental income tax process and be sure you’re doing everything properly. This small investment at the start can save you time, money, and hassle in the future. If you typically receive a big refund each year, you can also adjust the amount you withhold from your paycheck to give yourself smaller sums of money throughout the year instead of one lump sum. Making sure to file your taxes correctly is the best way to avoid expensive tax debt or the possibility of a time-consuming audit. Maximizing your potential tax deductions requires good recordkeeping. Thorough and organized records will help you prepare your financial statement, keep track of deductible expenses, identify receipts, and prepare your tax returns, as well as having verifiable proof of expenses to support the deductions. These records should include all information related to managing your rental property, including the associated expenses and rental income. This information should be easy to document in case you happen to undergo an audit. If an audit occurs and you can’t find proof to support the deductions on your tax returns, you may be subject to taxes and penalties. In addition, you may need to substantiate some of your expenses in order to deduct them. Typically, these items will include canceled checks, receipts, bills, invoices, and other documentation to support your expenses. You should also keep thorough records of any travel related to your rental properties. Owning a rental property is a great way to earn extra income and provide yourself with multiple lines of revenue. However, owning rental property involves many responsibilities and liabilities. As a landlord, you need to be sure that you are well aware of the types of income you need to report when you file your tax returns. Be sure you’re prepared to stay on top of your rental properties and records to save yourself the hassle in the future. If you’ve made mistakes with your rental income on your taxes in the past, Solvable can help you. Rather than facing back taxes, we can help you get a tax settlement and prevent possible wage garnishment or frozen assets. Contact us today to find out how we can help with tax debt relief and help you get a fresh start on your financial future.